How to Convert VOB to WMV on Windows/Mac? It is easy to achieve the aim of converting VOB to WMV with the help of a VOB to WMV converter. If you have no idea of what video converter is suitable to convert VOB to WMV, you can find the answer in this post. A VOB file is a movie data file from a DVD disc, typically stored in the VIDEO_TS folder. It contains a majority of the data stored on the disc which includes video, audio, and subtitles. The file is usually formatted as an MPEG-2 system stream. VOB files are used for storing the high-quality audio and video content once removed from a DVD. They are large in file size and can’t be used for online or desktop video. How to play VOB file? You can use VLC Media Player to play VOB files that are stored on your hard drive or on an external device. Run VLC Media Player to enter the main interface where you need to navigate to the folder where the VOB files are located by clicking “Media > Open Folder”. For your information, VOB files are usually located in VIDEO_TS folder. 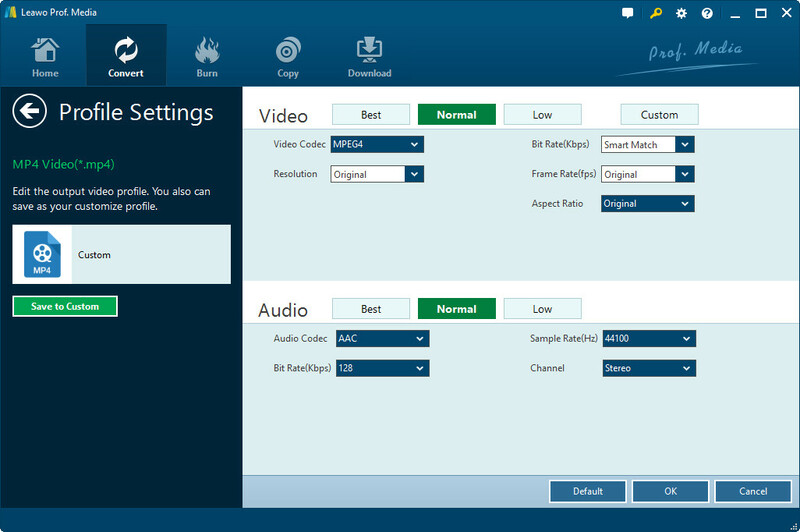 Leawo Blu-ray Player can also be used to play VOB files that are stored on your hard drive or on an external device. 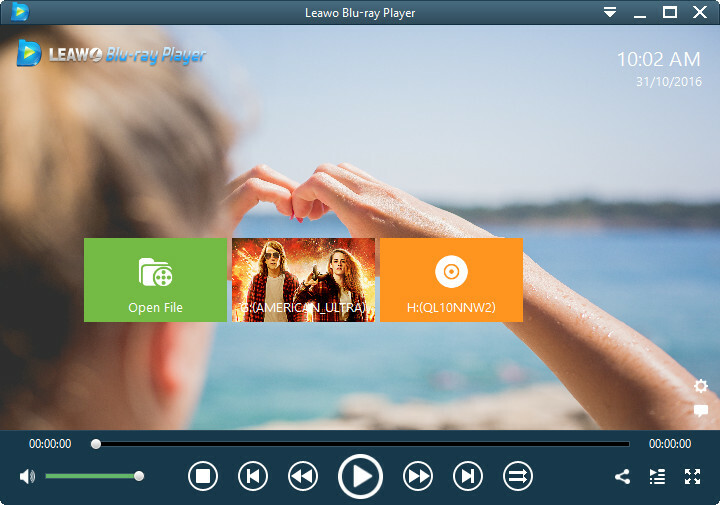 Run Leawo Blu-ray Player to enter the main interface where you need to navigate to the folder where the VOB files are located by clicking “Open File”. Once the VOB file is imported, the media player will start to play VOB files immediately. 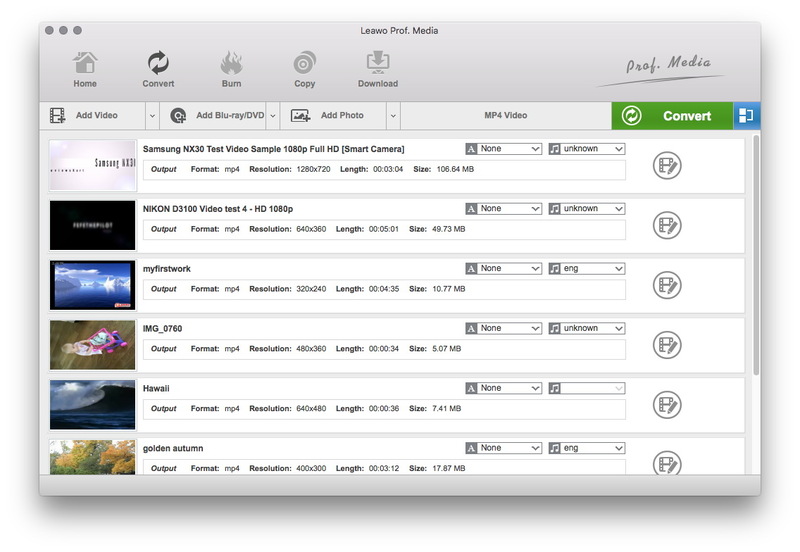 To convert vob to wmv file, you could use Leawo Video Converter, a media converter that integrates all the functions of HD video converter and general video converter. It could convert almost all High-Definition and Standard-Definition video formats (AVI, MPEG, WMV, DivX, MP4, H.264/AVC, AVCHD, MKV, RM, MOV, XviD, 3GP, etc.) from one to another. It could perform exactly as a VOB to WMV converter to easily convert VOB file to WMV format. With ultra-easy-to-use interface, it finishes VOB to WMV conversion in only a few simple clicks. 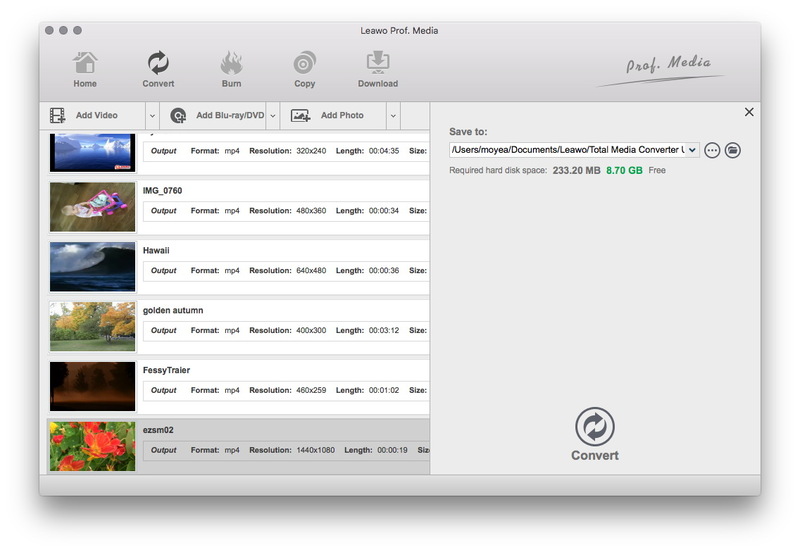 Leawo Video Converter is available not only in Windows version, but in Mac version. Download and install the right vesion one based on the operating system that your computer is running on, and then follow the step-by-step guide below to convert VOB to WMV on Windows/Mac. Launch Leawo Video Converter to enter the main interface, and then click the “Add Video” button to import VOB video files you want to convert into this VOB to WMV converter. Finally, after setting click the bottom “Convert” button at the bottom of sidebar to start to convert VOB file to WMV format on Windows. 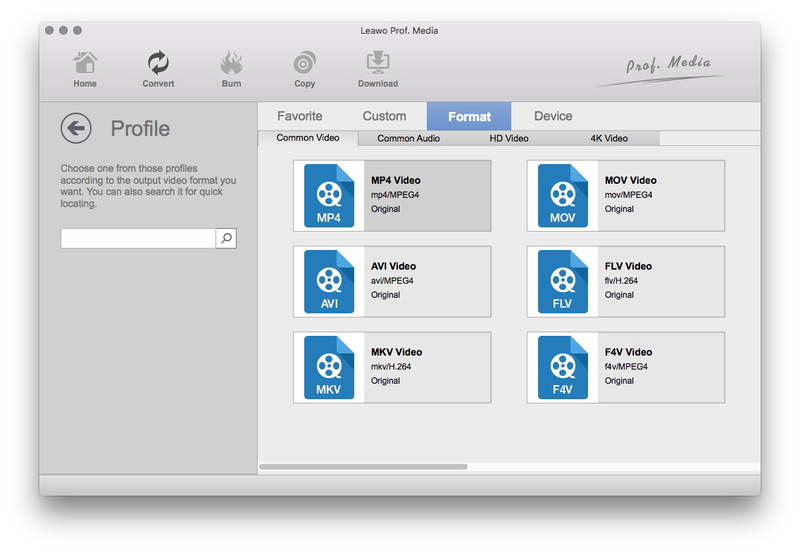 After the installation of Leawo Video Converter for Mac, launch it to enter the main interface, and under the “Convert” module, click the “Add Video” button or directlry drag source VOB file that you’ve stored on your Mac into for this Mac VOB to WMV converter. You could get all information on the left processing list, import multiple VOB files for batch VOB to WMV conversion, edit loaded VOB files, add 3D effect, etc. After importing source VOB files, click the drop-down box right before the big green “Convert” button and then select “Change” option on the drop-down panel to enter the Profile window for output format setting. Open “Format > Common Video” group to select WMV as output format. Optional: If you’re not satisfied with the video and audio parameters of preset WMV format like video codec, bit rate, aspect ratio, quality, frame rate, audio codec, audio quality, audio bit rate, sample rate and channel, you could reset them. After setting output format, re-open the drop-down box and then select “Edit” option to enter the Profile Settings panel. On the Profile Setting panel, you could freely set the parameters. Finally, click the bottom “Convert” button of the sidebar to start to convert VOB to WMV on Mac. 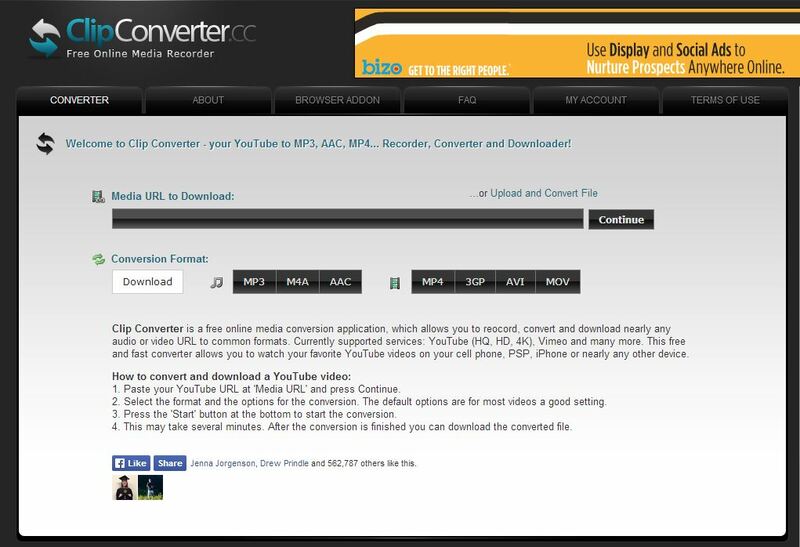 Compared to converter program, some may prefer online converter that helps convert VOB to WMV online. An online VOB to WMV converter is introduced here for you to convert VOB to WMV online easily. Let’s take a look. Clip Converter was one of the first online converters and it remains one of the best. 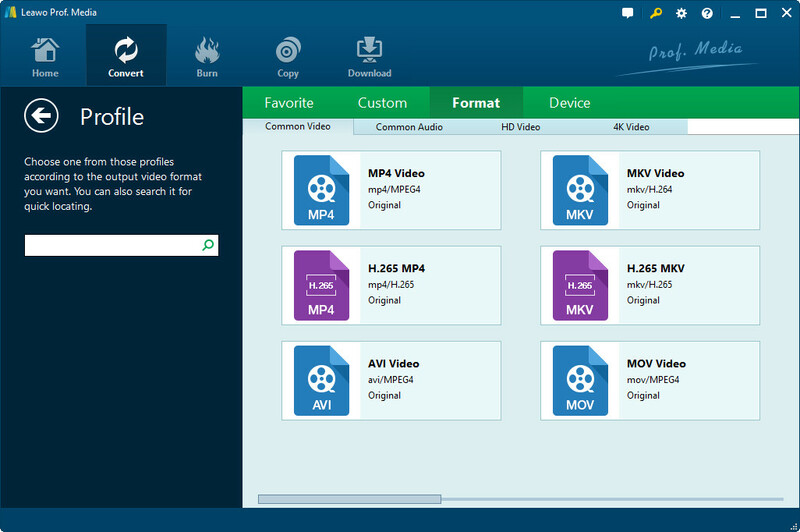 The free software is primarily designed for downloading and converting video files from their native format into something more accessible, handling everything from MP4 and 3GP files to AVI and MOV with incredible ease. 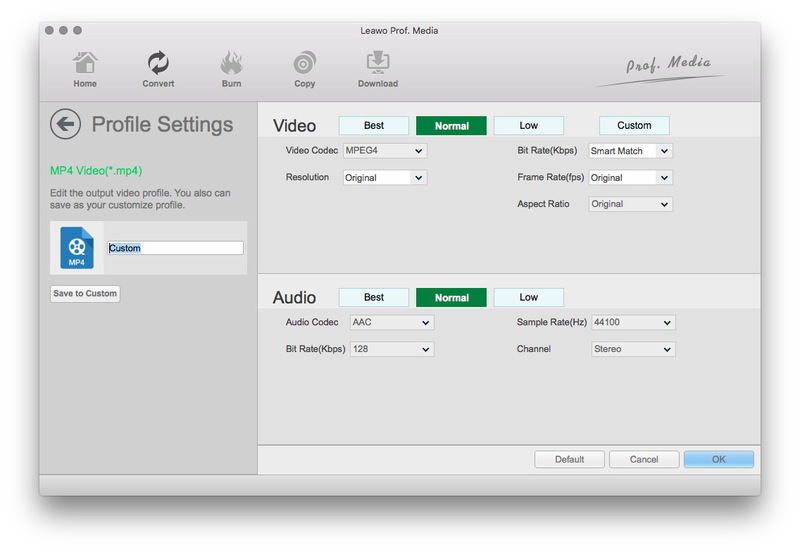 Additional options let you strip audio from specified videos, providing files in MP3, M4A, or ACC format. Of course, it supports VOB to WMV conversion. To convert VOB to WMV, all you have to do is 3 clicks: add VOB files, set WMV as output format, and start to convert. You can perform the conversion task on either Windows or Mac. Unfortunately, the site doesn’t allow much customization when it comes to video or audio files.